If your dryer is broken, we can help. 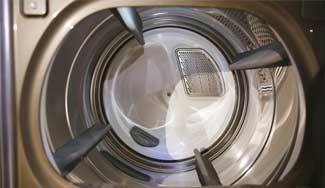 We do professional appliance repair in Honolulu including washer and dryer repair. Our technical team is well versed in all aspects of dryer repair including diagnostics, maintenance, and parts installation. We are all factory trained and certified. That means we know everything there is to know about dryers of all brands and models. For example Asko, Bertazonni, Bosch, Dacor, DCS, Electrolux, Fisher&Paykel, Frigidaire, GE, Jenn-Air, KitchenAid, La Cornue, LG, Liebherr, Marvel, Miele, Perlick, Samsung, Siemens, Sub-Zero, Thermador, Traulsen, True, Viking, Whirlpool, Wolf and many more. Give us a call, and we will be able to fix your dryer fast. We will also do such a thorough and high-quality job that your dryer will work as good as new for a very long time. Sometimes your dryer is making noises, will not start at all or will not tumble. Those are just some of the most common problems that you can come across with your broken dryer. You will need a professional dryer repair specialist to come over and take a look. This is where we at Honolulu Appliance Repair Pro can help. As are name says we are pros in all things connected with dryer and washers. One of our team will come in and examine your dryer. He will find out what is going on and will start right away on finding a solution. It could be as easy as just opening it up and getting rid of lint. Or it could be as complicated as replacing sever major parts such as motor or belt. What ever it is, we will be able to hand it with professionalism and speed. If your dryer needs a part replacement, we can easily help you. Our team carried all the dryer parts for all the brands. If we can’t find something in our warehouse, we can always order it for you from the manufacturer. And most importantly, we will make sure to install those parts correctly. That means that after an appointment with us your dryer will serve you for a long time without giving you any more trouble. Customer satisfaction on dryer repair in Honolulu is guaranteed! We will work with you until your dryer is as good as new. We offer you the best customer service for dryer repair in Honolulu. Give us a call, and we will schedule you for a convenient appointment. Our goal is to make your appliance service experience as convenient and fast as possible. We have same day appointments available and schedule on weekends and afternoons as well. Honolulu Appliance Repair Pro offers you a FREE estimate before any repair and a the service call is waved with every repair. No mater what we quote you, you can be sure that our price is the best and most affordable. Also, we always make sure our technicians are professional, polite and helpful. They will explain to you every part of the repair and brake down every expense. They will also give you practical advice on how to keep your appliances well maintained. But most importantly they will make sure that your appliances work as good as new. Honolulu Appliance Repair Pro is appliance repair company serving the entire island of Oahu, Hawaii. We have more than 30 years experience in the field of appliance repair. Our team is large and well trained. 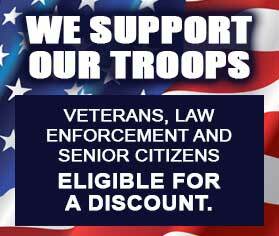 All you have to do is give us a call, and we will come out to your home anywhere on the island. For example, Āina Haina, Ala Moana, Aliamanu, Camp HM Smith, Capitol District, Downtown Honolulu, Fort Shafter, Hawaiʻi Kai, Honolulu, Kahala, Kaimuki, Kakaʻako, Kalihi – Palama, Kalihi, Kuliouou – Kalani Iki, Leahi Park and the rest. What makes us different is we do kitchen appliance repair as well as a washer, and dryer repair all makes and models of appliances. That includes European and luxury brands. Our team is great when it comes to dryer repair. But that’s not all we can do. We also specialize in refrigerators, dishwashers, washers, stove and ranges, ovens, steams, microwaves, freezers, ice makers, barbecue grills, pizza ovens, AC repair and much more. No project is too big or too small for our highly skilled and factory trained professionals. We work equally well on relatively small residential appliance repair issues as well as on more complex commercial appliance repair problems. For example, we help big restaurants, hotels, catering companies, etc. to keep their equipment in top shape. Our team is always on top of the latest technology and has the most up to date tools to do their job. We will make sure that all your appliances are working great. We are number one professional appliance repair service in Honolulu! If you need dryer repair in Honolulu, please give us a call. Our phone number is 808-518-2966. We will set you up with an appointment in time most convenient for you. Our technician will get ready to make a visit to your home. He will make sure to take all the tools and equipment needed as well as a majority of the parts that could be required in your particular case. For example, if you know that your LG dryer is broken, we will make sure to bring most common LG parts. This way we can fix your dryer faster. As soon as our tech is at your place, he will start figuring out what is wrong with your broken dryer. He will take it apart, clean it out and run a test on his testing equipment. He will soon find the issue and will be able to tell you what his plan of action will be. Sometimes it’s an easy fix, but sometimes parts will need to be replaced. Usually, we bring most common parts with us but if we don’t have something we can always order it from the manufacturer. The most important parts of any appliance repair are diagnostics but the second most important part is actually installation of parts. A part must be installed correctly and safely. If installed incorrectly it can get damaged again or damage the whole mechanism around it. We know exatly how to install all the parts of dryers. We very detail oriented and knowledgeable. With properly installed new parts your dryer should be able to run with out any issues for years and years to come. We have a great team here at Honolulu Appliance Repair Pro. Every person working for us is top professional in appliance repair with more then 10 years of hands-on experience. Each person knows everything there is to know about majority of brands and models of home appliances. We are detail oriented and work hard to do things right for you. We try to make each service appointment convenient, easy and fast for our clients. Why waist your time with other companies who can’t things done in reasonable time and with good results? We guarantee that your broken dryer will be as good as new and we will make you a priority. Customer satisfaction guaranteed for our local Oahu appliance repair customers! If you need dryer repair in Honolulu, please give us a call at 808-518-2966 or fill out our short contact form. Our friendly customer service will connect you with a certified technician. He will be able to take care of your broken dryer in no time at all. We serve the whole of Honolulu. That includes Liliha-Kapalama, Makiki, Manoa, Mccully Moilili, Moanalua, Niu Valley, Nuʻuanu, Palolo, Pauoa, Red Hill, Salt Lake, The Arts District Honolulu, Waialae, Waialae – Kahala, Waikīkī, Āina Haina and the rest.